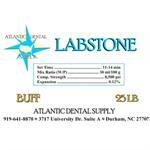 This is an all-purpose model stone ensuring smooth, strong casts with low expansion (0.12%) for accuracy. 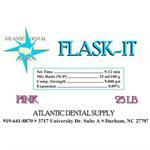 Flask-It is used for flashing procedures and does not require vibration. This is a must-try for all denture labs. 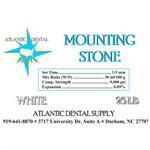 Our Mounting Stone is a rapid setting low expansion stone perfect for both denture and crown and bridge bases. 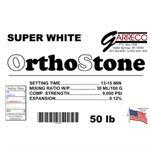 This Orthostone is super white and provides ideal hardness. A proven industry leader! Widely recognized as one of the best stones on the market and designed for ultimate versatility. 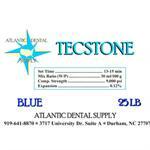 TEcstone FL was specially designed for basing crown and bridge models. A perfect flowable stone for bubble free, smooth models.